Winter days are quite the challenge here in Chicago, so I’m always trying to find ways to warm up with food. I haven’t had a cold salad in months, as I just really believe in eating as many hot meals as possible, and I never have cold drinks in the winter. Even the sandwiches I make are on toasted bread with melted cheese- am I the only one who does this in the winter months? 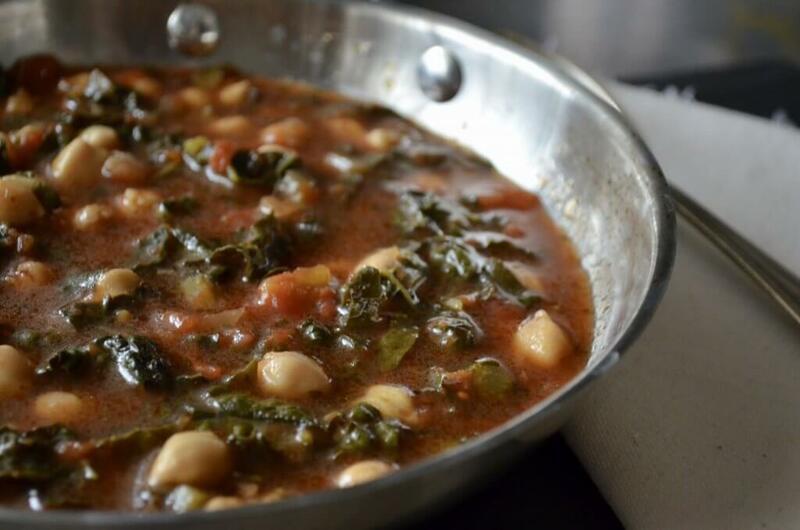 That’s why I’ve made this Tuscan Kale and Chickpea Soup. It’s “Tuscan” because the kale is of the Tuscan seed variety, and it’s one I feel I can digest better than the other varieties, for some reason. It’s a long, thin variety and the stems aren’t so thick that I feel like I need to chop them like crazy before throwing them into the soup. 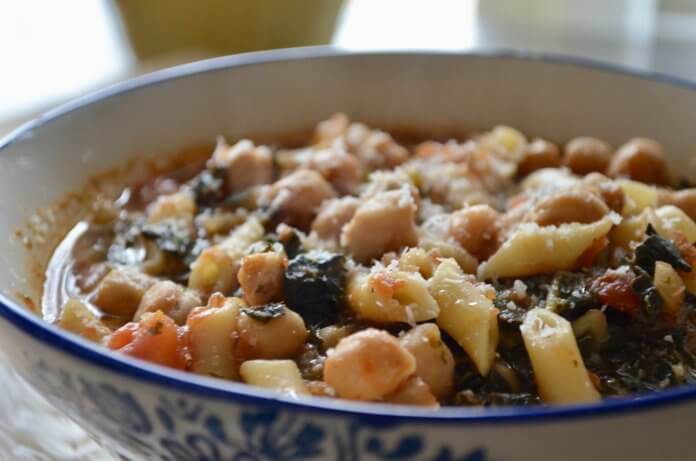 If you make pasta dishes often, you probably have most of the ingredients necessary to make this; and if you know how important a good broth is, you can make your own or use the convenient, halal option of Saffron Road’s Classic Culinary Vegetable Broth. In Chicago, I find my stash at Jewel grocery stores in their organic foods section. They can also sometimes be found in The Fresh Market stores, Whole Foods Markets and I’ve also seen their simmer sauces in World Market! That’s some amazing presence in the retail food world. 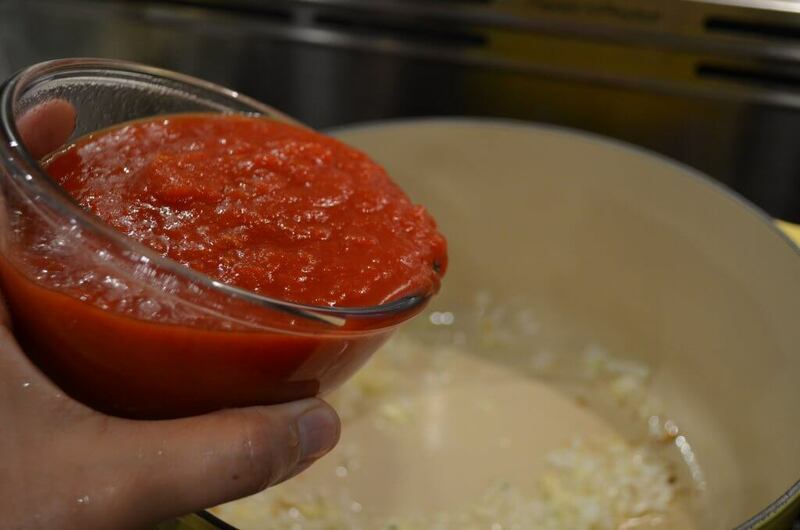 I like to start my soup with, of course, chopped onion and garlic (because that gives everything the base of flavor most dishes need), but also some of the very best tomato sauce or crushed/diced tomatoes you can find. The broth will add a lot of flavor and color, too. You can use chicken broth if you like, but it will obviously change the flavor. 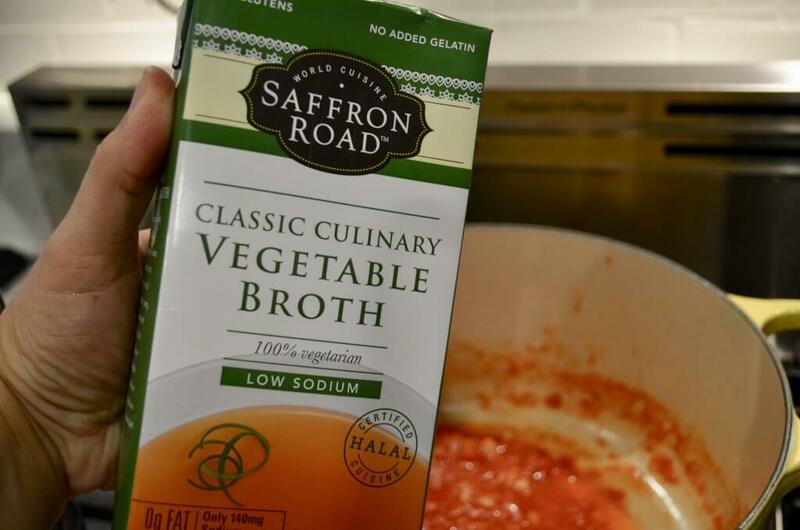 Saffron Road carries two types of halal broths that might interest you, which you can see more about here. 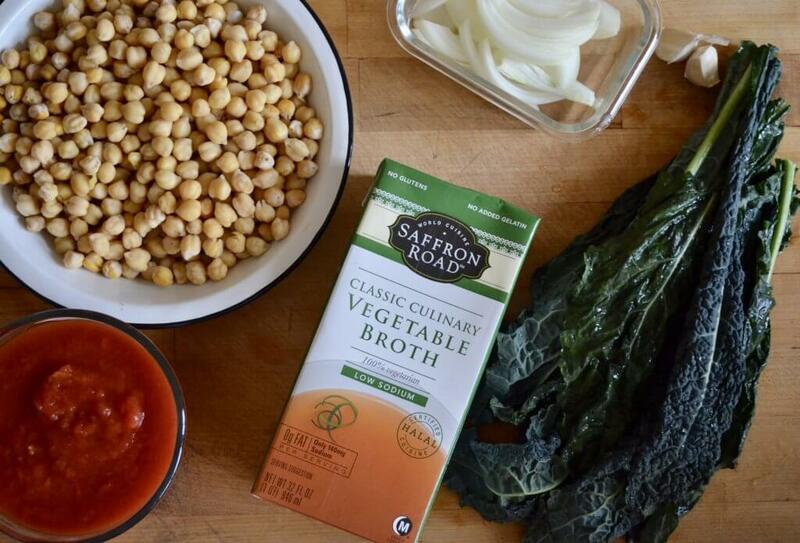 Add the chickpeas and kale. Once the soup is done, I like to keep it in mason jars in the fridge or freezer. Last time I made so much that I had to freeze some and when I defrosted it, it was absolutely perfect. I simply simmer it in a pan and serve. 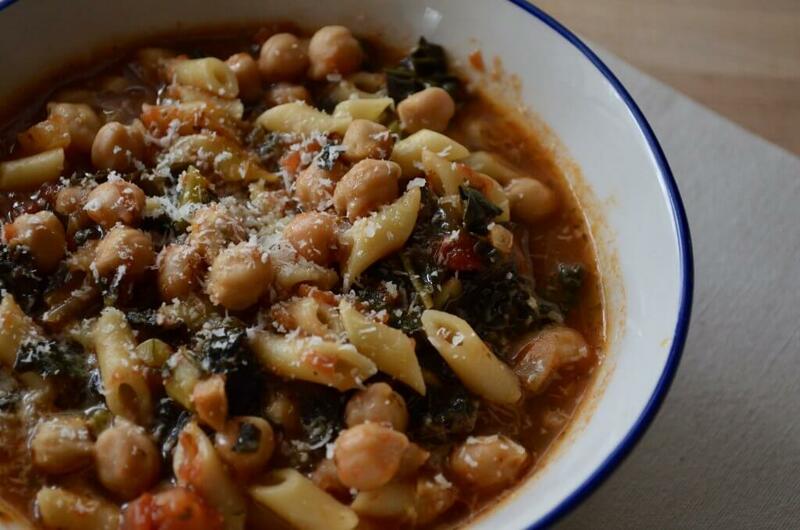 If you want to add noodles, I suggest small ones like ditalini or pennette (small penne) because there is already a lot going on in the soup and those smaller noodles are a similar size to the chickpeas so they just go together nicely in your mouth. That’s important, too. I love, love, love this soup for lunch. In fact, I’ve been having it for days. I especially love it with freshly grated Pecorino cheese on top, after it’s warmed up and just before eating. Because it’s pretty filling, you may or may not want to have a sandwich with it. If I make it with pasta, I don’t eat any bread with it because of the carbs, but maybe you want a piece of rustic bread to sop up all the tasty liquids at the bottom of your bowl. Who knows, just make it, warm yourself up and treat yourself to a wholesome, delicious bowl of goodness, day or night. 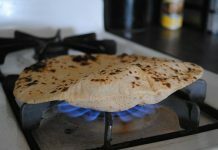 Once you make it yourself, I believe you will really taste the difference between making your own and going out for a soup and sandwich. You tell me, once you’ve tried this recipe for yourself! *This post was sponsored by Saffron Road. All opinions and recipe creations and photos and opinions are of my own design. 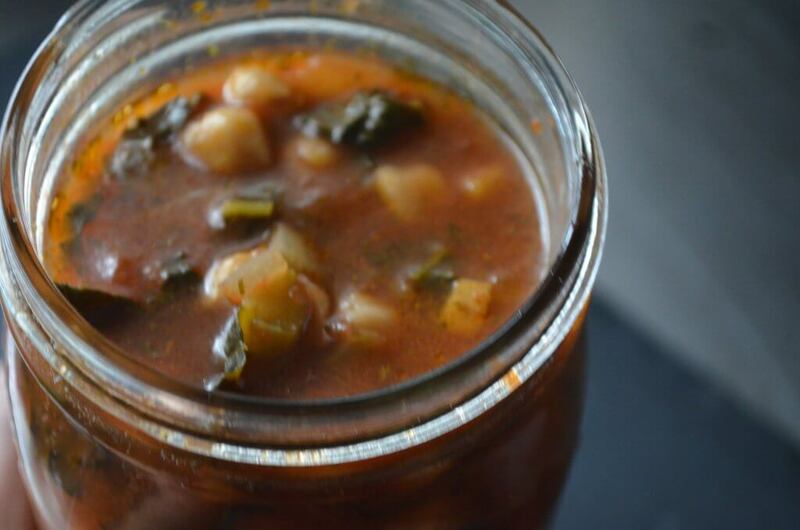 A perfect blend of hearty and savory, this soup is a great way to warm up during the winter months while getting in your greens and lots of vitamin C with the huge amount of tomatoes this recipe includes. In a large Dutch oven, heat the oil gently. Add the onions and garlic and cook until translucent. Add the tomatoes and tomato paste, chickpeas and kale, and the herbs and spices. Add the water or broth and bring to a boil. Bring to a simmer and let cook on low for about 30-45 minutes. If adding pasta or noodles, add during the last 10-12 minutes of cooking. 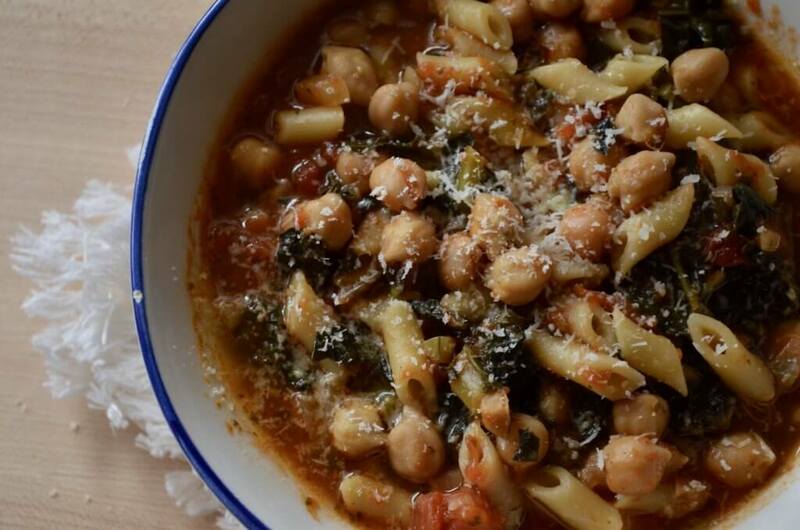 Ladle into bowls and serve with freshly grated Pecorino or Parmesan cheese on top. 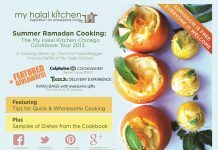 If you're using fresh dried chickpeas in this recipe, this is my suggestion for preparing them: Soak fresh dried chickpeas overnight, or for at least 6-8 hours in water and baking powder. They should be plump before boiling. 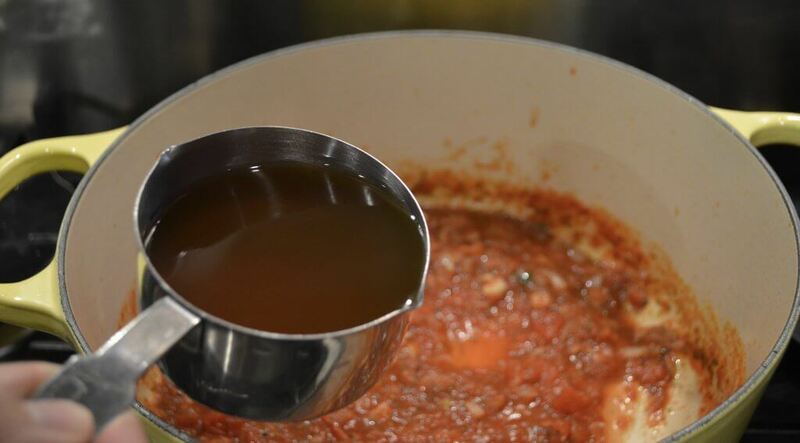 Drain the water and add about 6 cups fresh water to a Dutch oven or stock pot. 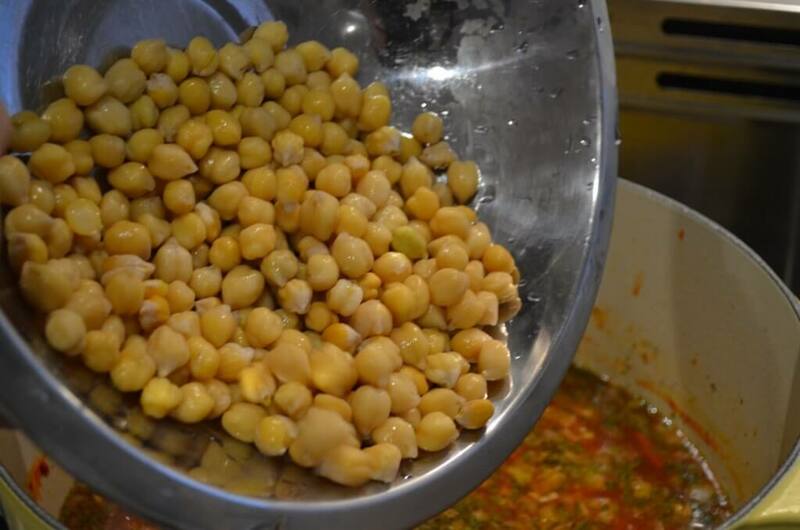 Boil the chickpeas for about 1 ½ hours. Drain of all water and set aside for your recipe. 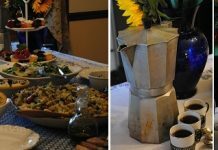 A note about kale: you can use any type of kale in this recipe, although the one I tested it with is the Tuscan variety. 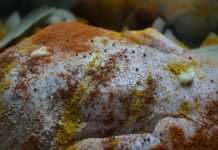 Be sure it is fresh and seasonal, otherwise it could taste bitter and affect the taste of your soup.